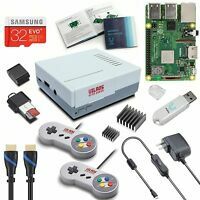 xsmartbuying has no other items for sale. Great deal, excellent product 100% satisfied, fast shipping! Good product thank you super fast shipping. Shipping was super fast and terrific!!! Great seller! In experimenting with different remote options for my Home Theater PC, I discovered this little gem. 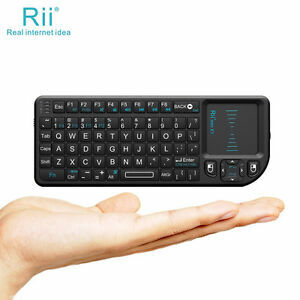 Though this (Rii RT-MWK01 X1 RF mini USB keyboard) is the entry level version of the line, and can be found for around 10 dollars, I thought it would be sufficient to compare with other remote options. Though a full sized keyboard is, of course, easiest to use, this little guy plugged in, typed, scrolled and clicked with ease and sits at home among my other AV remotes. It even works great with my Smart TV. Other so-called universal and media center remotes just didn't seem to integrate as well with the PC platform as this little guy. The keys are hard plastic, which I like, and respond quickly without having to press too hard or at some weird angle like some of the other, soft key, remotes. Response time between the keyboard and mouse tracking functions and the HT display are virtually seamless. The small mouse touch-pad takes a little practice to work with precision, but you should expect that for the small footprint, and it is more than a fair trade-off. 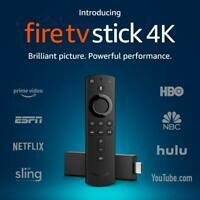 This is easily my favorite remote for my HTPC and Smart TV. The Rii mini v3 adds back-lighting and a laser pointer for just 5-10 dollars more, but I really haven't found the need to upgrade to these options as I am quite comfortable with the X1. I would recommend anyone to grab one of these guys, whether for your HTPC, Smart TV, Multi-media presentations or notebook device. You'll be glad you did. Same problem I had with my previous one of the same brand and type - power sliding switch keeps falling off. Now I have to use a little screwdriver to turn it off/on. Eventually as my previous one the switch will become completely inoperable. Bottom line: Good keyboard for it's price but too fragile. Next time I'll buy a more expensive one with better power switch and more sustainable in my working environment. Be aware, the touchpad is sensitive! You can click the mouse by tapping on the touchpad but I find I frequently "click" when I am just trying to move the mouse pointer around my screen. A feature to turn this off or change the sensitivity would be nice. Overall, I really like this keyboard/touchpad. I love the small size and large battery capacity of this keyboard. The keys are easy to navigate and have plenty of additional special keys to make typing commands simpler. The device lasts for days on a single charge thanks to the automatic power saving technology. Just plug in the Bluetooth dongle into whatever device you want to control and start typing. The keyboard connects and becomes a wonderful input device along with the built-in touchpad. You don't need a mouse because the keyboard has a small touchpad on the right side. I love these keyboards for controlling a smartphone, TV, tablet or other electronic product that needs commands typed but only gives you a built-in keypad. 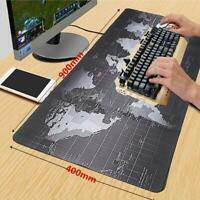 This keyboard makes typing so much easier for those devices. Item works quite well, My only issue is courser control ( Mouse ) . Sometimes too sensitive and sometimes the opposite . In other words too many times, when I want to slide mouse up to a different "TAB" on browser, it takes command as if I had double clicked ........So I have to set it up with certain player, that allowed more commands without the need of mouse........I have used many types.......( Some much more cost or even less cost ) Therefore I am quite familiar with them.......Even Infrared transmitters .......But prefer RF ( Wireless ) due to " line of site " But the cost .......overall better since I use HDMI interface. Didn't notice there are back light models ??? That was my lack of observation. Thank you.